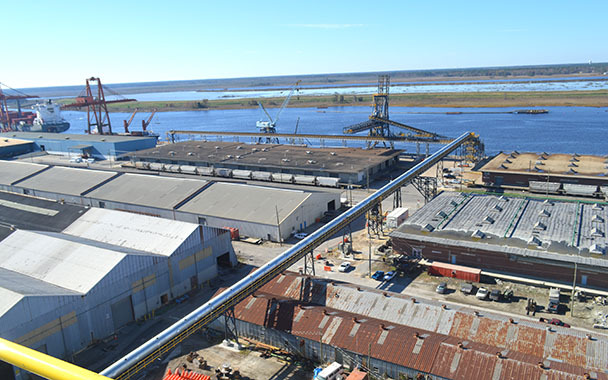 Mid-South Engineering worked with a national conveyor supplier & fabricator to engineer & design the structural support systems for the conveyors at a Pellet Loadout Facility at a major international port facility. 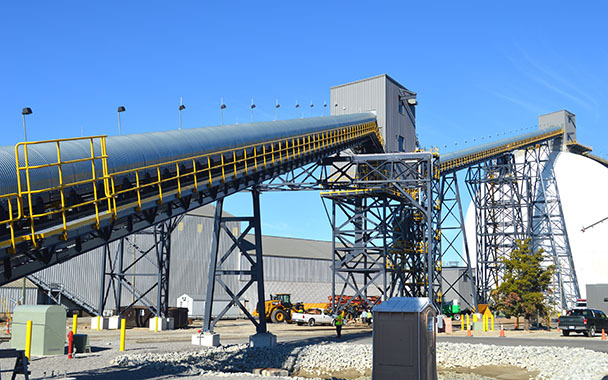 Mid-South was responsible for the structural engineering and design (member sizing) of the conveyor truss systems, bent support systems, and all transfer structures; including head houses on the top of the storage domes. 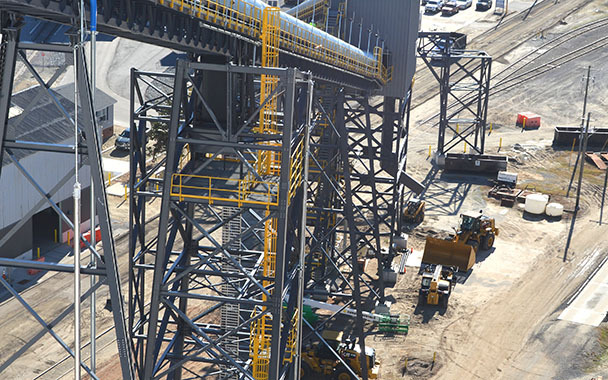 This facility is capable of storing up to 90,000 metric tons of wood pellets and shipping the pellets around the world. There were many obstacles and clearances requiring special engineering of some support bents to allow for both vehicle (Tractor Trailer) and railroad passage for both during construction as well as once the facility was operational.